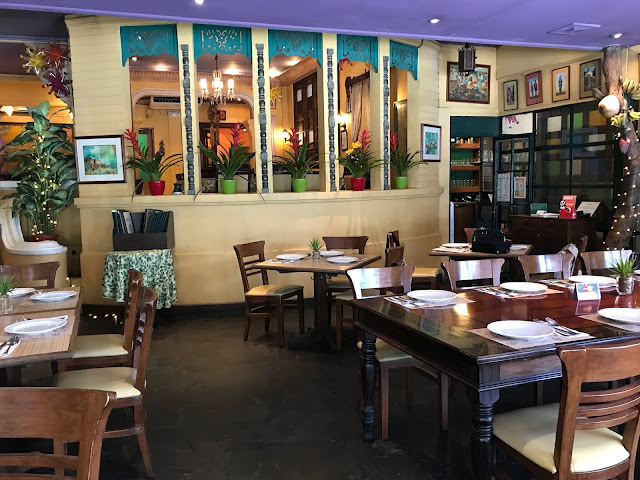 Bistro Remedios is one of the first ever restaurants built by the LJC group. 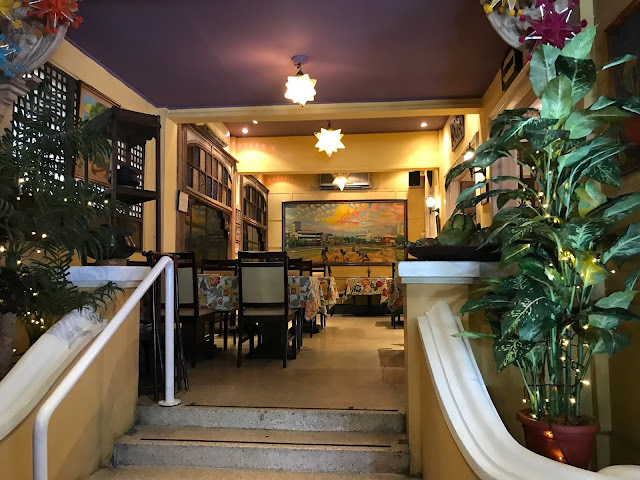 It has been through a lot over the past years, undergone some major changes, but the beautiful history and inspiring story of passion inscribed within its walls remains. 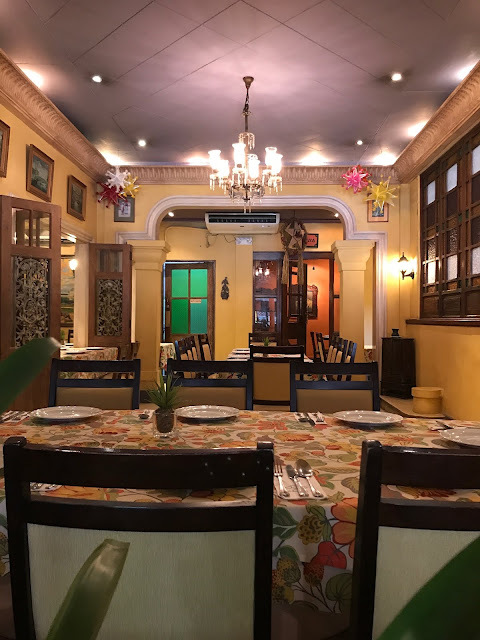 It's also one of the first restaurants to show the founder's formula for a pleasurable dining experience that has proven to be loved by its patrons. To put it simply, LJC Group customers can expect the full satisfaction of all their senses on every visit. 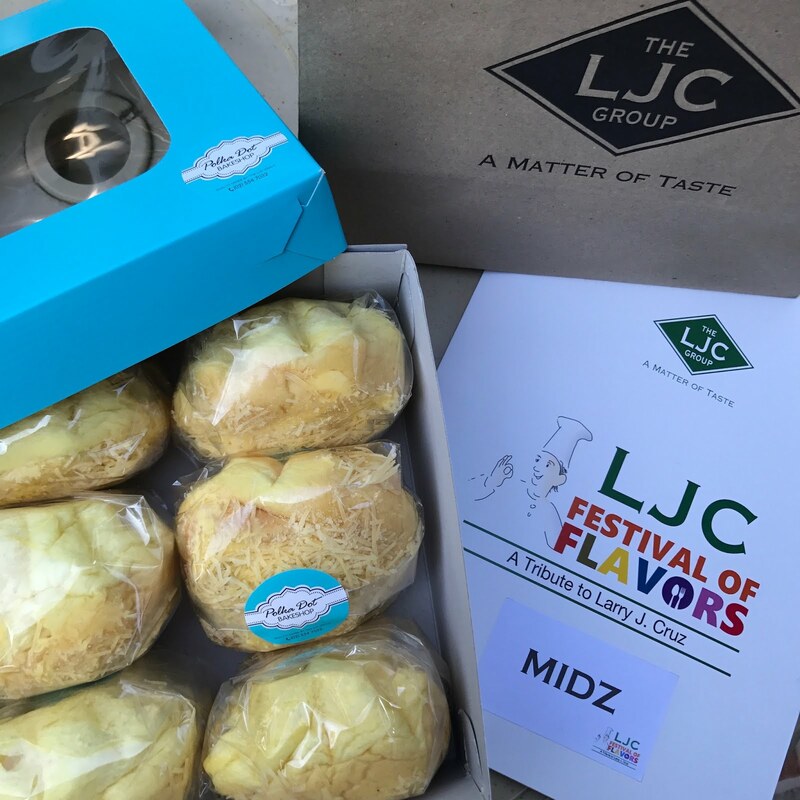 On September of each year, LJC celebrates the LJC month, and one exciting event to look out for is the Festival of Flavors. 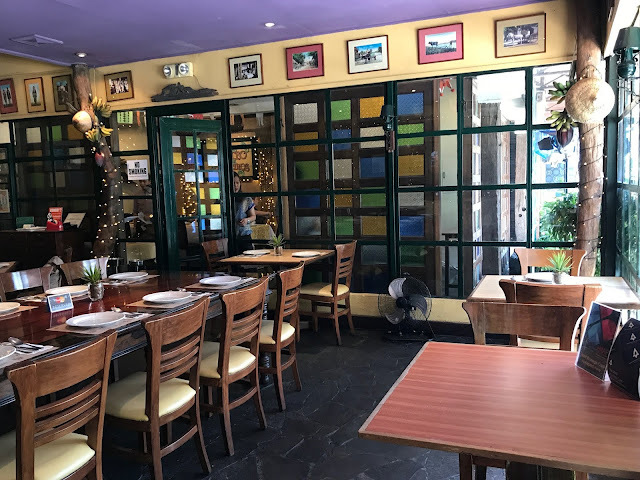 The Festival of Flavors is a tribute to the late founder of the LJC group, Lorenzo J. Cruz, or Larry, as people more commonly calls him. It's a feast to commemorate his passion for food that paved the way for the success of his chain of restaurants. It is celebrated with the releasing of 30 brand new, innovative dishes across the restaurants under LJC Group, beginning September 21, 2017. 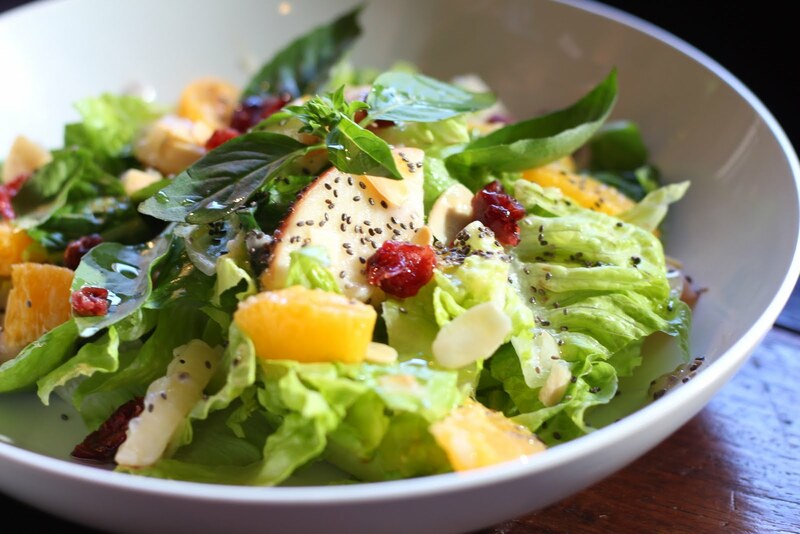 A bed of greens topped with fresh fruits, dried cranberries, almond flakes, chia seeds, and served with a light and fruity raspberry yogurt dressing, which is a great idea to replace the old-fashioned vinaigrette. 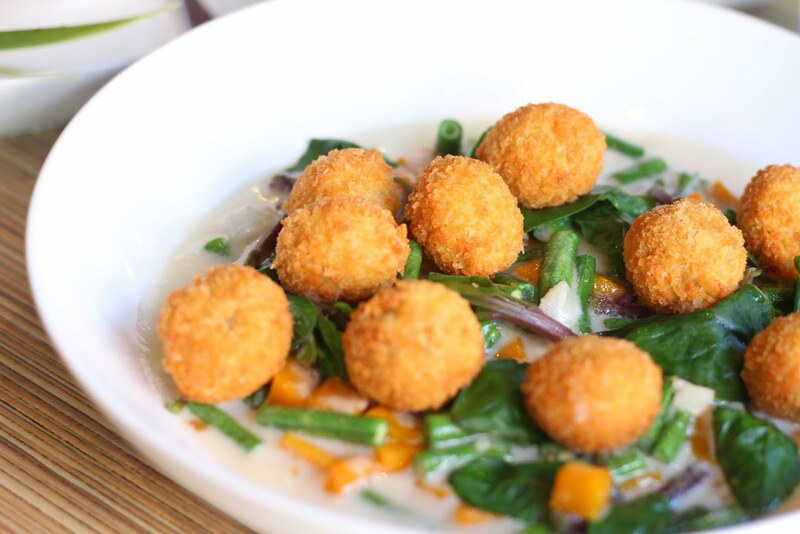 It's a refreshing, modern take on salad perfect to make the millennials and the kids eat vegetables. 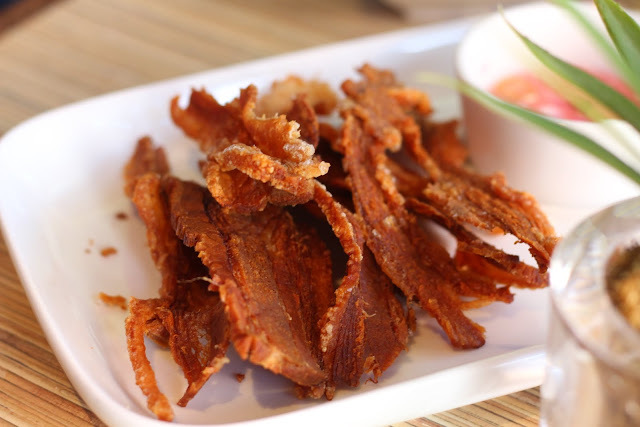 Sinfully good bacon cut, crispy fried pork strips served with spicy vinegar. I certainly munched a couple of these bad boys. They barely gave my teeth a workout! Crispy, but not hard. 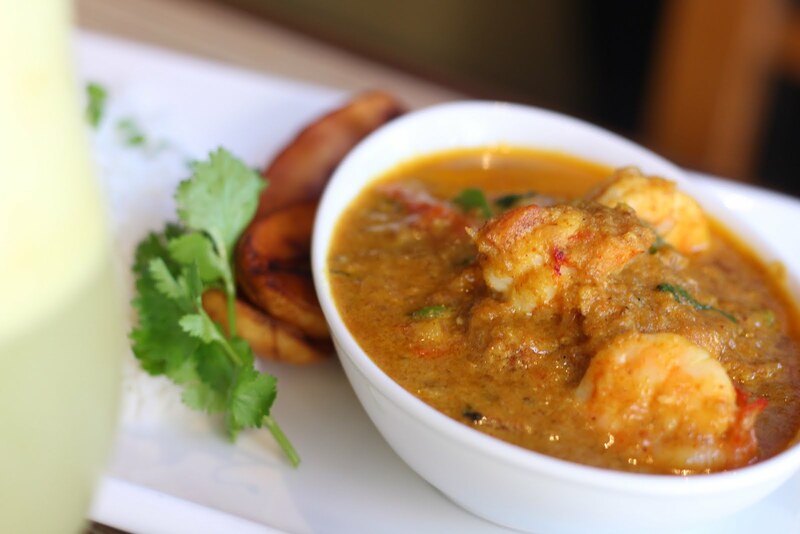 Shrimp simmered in a coconut curry sauce with bell peppers, and served with fried banana and steamed rice. 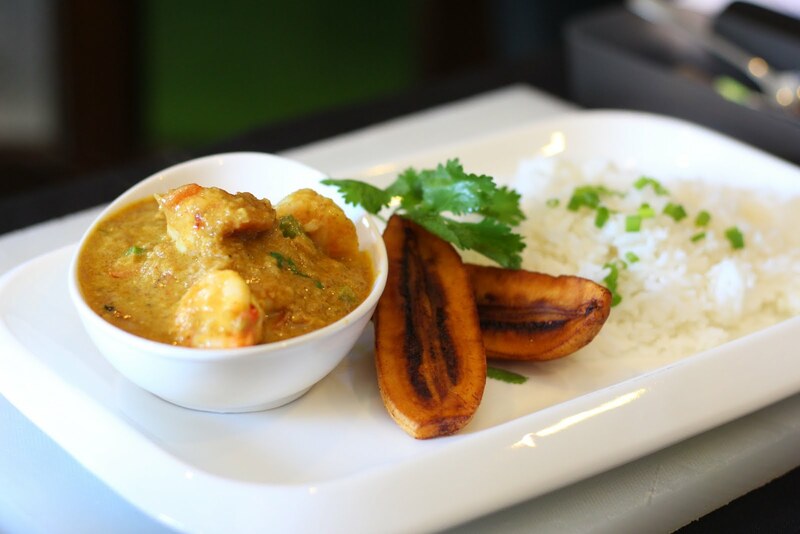 We Filipinos are accustomed to using chicken for our curry dishes, but now that I've tried the shrimp version, I am at a loss for words. Why haven't we been doing this??? 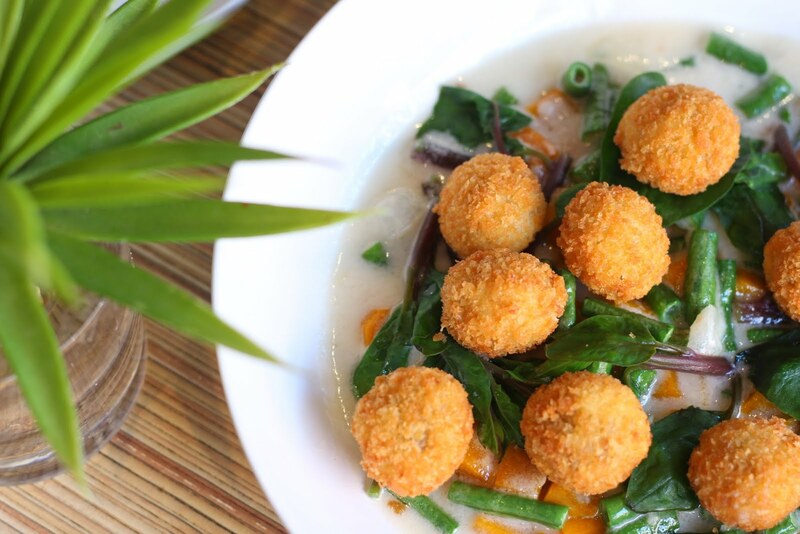 Meat balls made of blue crab meat, breaded and fried to a golden color before serving over a bed of vegetables cooked in coconut milk. This crab bola bola sa gata at gulay was a real crowd darling because of the crab's highlighted flavor. 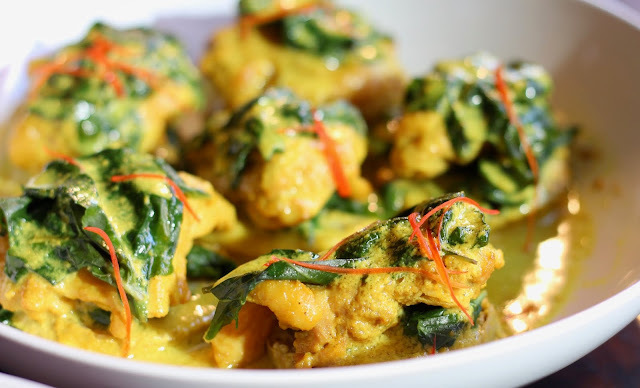 Lean chicken meat simmered in coconut milk and yellow ginger, beautifully served layered with sliced banana heart, green chili leaves, and thinly sliced red bell peppers, and finished with an extra drizzling of sauce. It's traditional Filipino food at its finest. Pan-fried U.S. 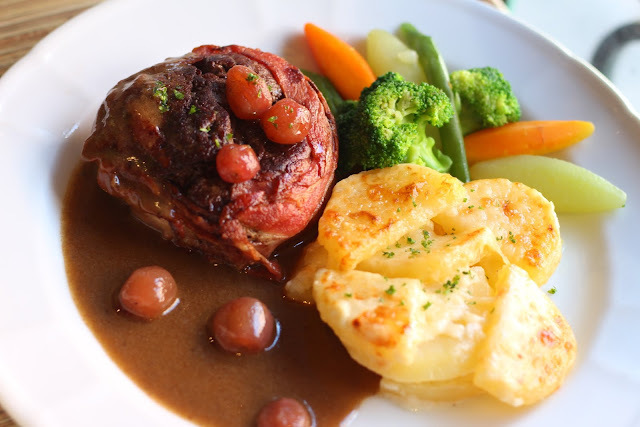 Beef tenderloin steak wrapped in bacon, served with wine and grape sauce and served with a side of potatoes au gratin and vegetables. The addition of the inventive sauce worked so well with the steak, making it one impressive dish. The potato gratin is also the one thing anyone can easily ignore, but will give you such a wonderful treat if you don't. 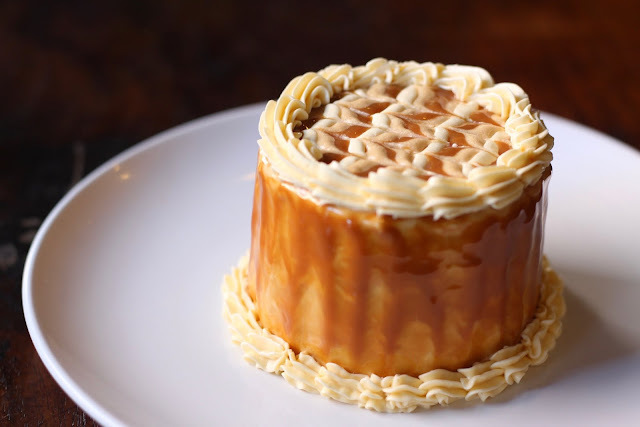 The salted caramel cake was a talk of the table. 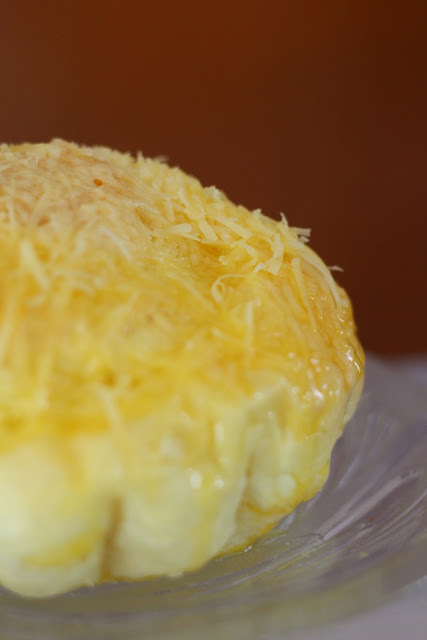 Everyone started buzzing about this sweet sweet ending, until we came into a conclusion to give this dessert two thumbs up! Yes, it's a caramel cake, but it's the kind of cake even those without a sweet tooth would love. We took home a box of ensaymada from Polka Dot. Heating instructions: put in the microwave for 9 seconds to warm up the exterior, and then in an oven toaster to warm up the inside. I tried this as soon as I came home, but stopped with the microwave portion. 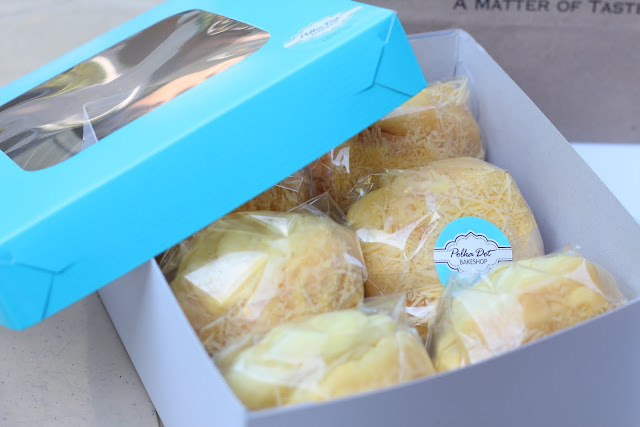 If that glistening melted butter doesn't give you the excitement to eat the ensaymada, then I don't know what will. I shared a bite with my brother, and he loved it so bad he had me heat up another one. 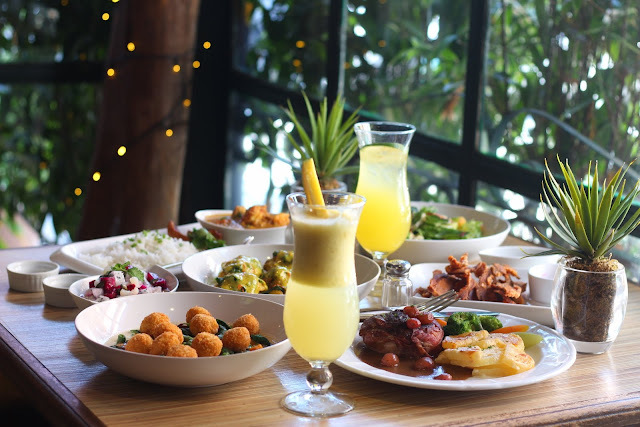 Needless to say, it's one thing to love a dish, but it's a whole other thing if your loved ones can't stop raving about the same dish. 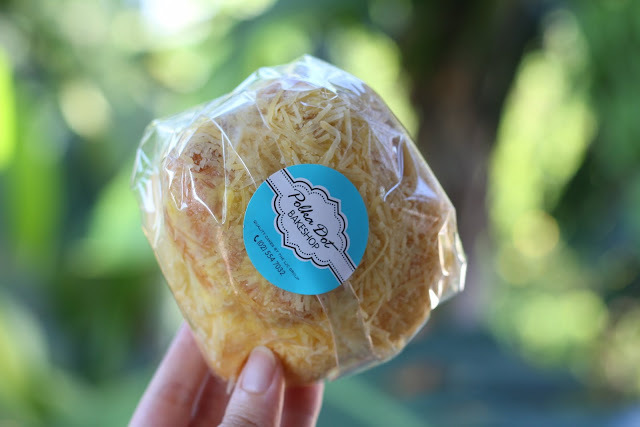 This is what Polka Dot's ensaymada can do. 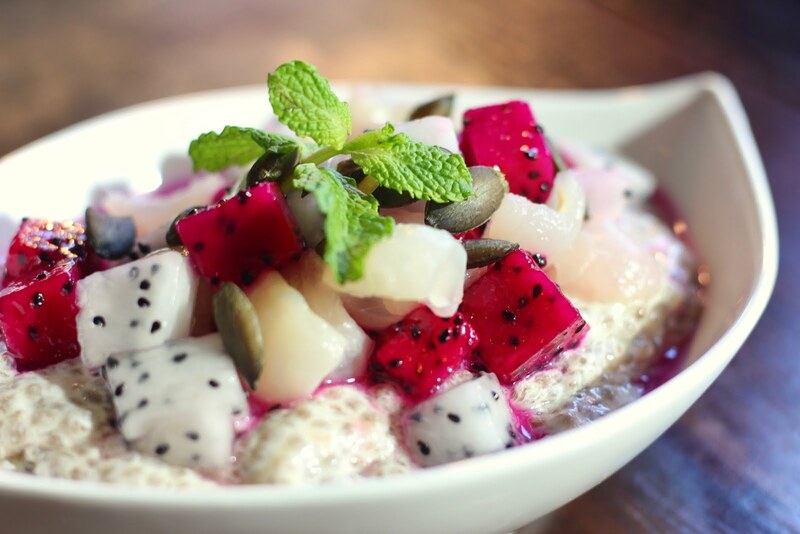 This super food is made of chia seeds soaked overnight, folded in heavy cream and topped with dragon fruits, longan, and pumpkin seeds. I never thought chia seeds can make up as the main ingredient in any dessert, and that it'd taste amazing! The pumpkin seeds were a great combo with the whole dessert, as it gave it a contrast in flavors and texture as well. A small serving of the chia pudding can go a long way. No wonder it's called a super food. Apart from this, LJC group also does a fundraising campaign for the Cancer Institute of the Philippine General Hospital called The LJC good to Dine Campaign. There's also a pick-a-treat promo for all customers on the 17th of the month, which happens to be Larry's birthday. The LJC month celebrates the good memories that the LJC Group has shared with all its loyal customers, while also paying back to them and to the community. The Festival of Flavors is definitely something no one should miss out on.